Being an established expert in your industry is the best way to find new online customers. However, this isn’t an easy task, especially with the current marketing sphere. Nonetheless, with social media, it is possible to make yourself an identified expert in your particular industry. As an industry expert, you ought to be well versed with several aspects. Before looking at the various ways of becoming an industry leader, position yourself as one by developing the following. 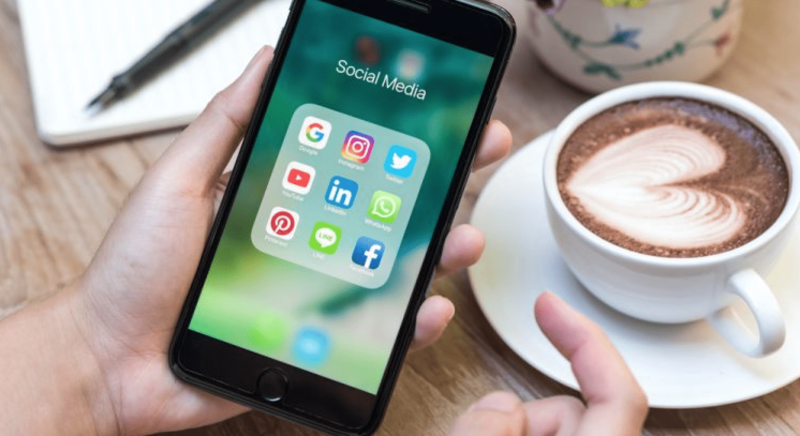 A clear understanding of marketing – as an expert, you should understand how marketing works and how social media can help a business fulfil its marketing goals. Good grasp of your niche subject matter – for others to consider you a go-to source of information, you should be up to date with the latest happenings. Unique perspective – to be an expert, you should have a world-view and unique one for that case. A thought leader should stand apart from the crows and have an insightful way of looking at important issues within the niche. Influence – your aim of being a thought leader is to influence. Therefore, you should have the ability to command influence within the niche. Credibility – credibility goes a long way when you need some respect and purpose within the niche. That said, below are some of the ways you can establish yourself as a thought leader in your area of expertise with the help of social media. For sure, there are other people with excellent knowledge about your industry aspiring to be industry leaders as well. Therefore, to be the best, you ought to identify your scope and how you will stand out among them all. Your contribution, both in social media and offline has to be unique to attract the much-needed attention from the target audience. Conversationalist – one who initiates trendy conversations with experts, fans or peers. Amplifier – those who share and amplify content created by others. Content curator – one who collects the best content in the niche, summarizes and shares it. Responder – such experts are active on social media communities and answer member’s questions. Always identify your specific area of expertise before building a heavy social media presence. Through this, brands and other users will be looking for you when their products or brands require your services. You can as well decide to be all around. Establishing leadership, especially on social media isn’t an overnight effort and takes time. Therefore, if you plan to invest the much needed time and effort, you shouldn’t go to a platform that might disappear after a couple of years. Digital experts agree that at least some social media platforms are there to stay. However, not all may enjoy this. MySpace, for instance, isn’t at the same position it was some years back. Therefore, you ought to identify the mainstay social media platforms that won’t let you down after some few years. Facebook, Instagram, Twitter, and LinkedIn have proven the test of time. Among this, begin your quest for expertise in one that has your target audience. Understand the demographics of each platform as you expand to other platforms, and stay consistent with posting. There are tools like an Instagram bot that help you be in touch with the goings on of your growing fan base. Observing and emulating other influencers – you can discern what other influencers are doing and working for them. Apply their tactics to your integrated approach. Learn how they kick-started their campaign and add these insights into your plan. Answer unanswered questions – most experts and industry leaders answer common questions consumers ask by rewriting what others had said initially. Only a few venture into the unknown tough questions and you should be part of the few. Through various conversations with customers, you can identify unique and unanswered queries and work on them to catch your target audience attention. Stay clear of selling – this is something you should watch out for, especially in the initial phases when people are getting to know you. Backing a brand may cause some distrust and make your target audience less receptive, especially if they have doubts with the brand. Make yourself approachable – most social media users consider industry experts unapproachable and distant. This is because some lack that essential personal touch with their audience. Add some personal touch to anything you do to your audience. Listen – as a thought leader, it is good to listen to your fans and peers since learning never ends. There is always something new to learn and add in your ideas collection. Take part in key conversations – influence comes from ruling an engaged and enthusiastic following. To accumulate such following, set some time aside for interacting with your social media followers. Share your knowledge and contribute your ideas and opinions in key discussions. Other ways of establishing yourself as an expert in your niche include keeping yourself updated, being consistent with your efforts, giving valuable insights for free, sharing your story and finally measuring your impact to refine your approach. Before the inception of social media, making yourself known as a brand expert required a lot of effort. However, social media has made it easy for anticipating thought leaders to rise up. As you venture into this, note that establishing yourself is all about educating and last about selling. Work on providing your social media followers with unexpected, valuable and beneficial insights.